SEAT, the only company in its sector with the full-range capacity to design, develop, manufacture and market cars in Spain, is having a bumper time, whilst many are still crawling out of the crisis. 19.08.2015 - Sales worldwide continue the company’s steady growth trend that began in 2013, with the carmaker concluding the first semester of this year with 216,500 deliveries: an 8.2 per cent increase over the same period in 2014 (200,100) and the best first-half result since 2007. 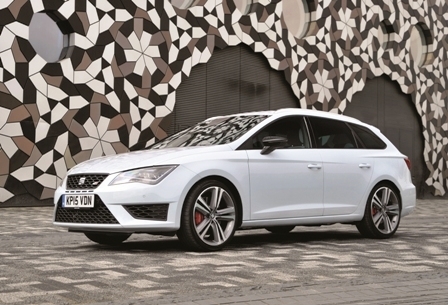 SEAT President Jürgen Stackmann underscored that the brand is continuing its positive rate of growth. “Our sales are increasing steadily for the third consecutive year. We are satisfied with all the models in our range and trust they will enable us to keep growing in the upcoming months, although we must pay close attention to how our main markets are evolving”. Stackmann pointed out that “the new Ibiza and Alhambra will drive the sales of these models. In addition, we are working on presenting even more recent developments in our current range and are getting ready to launch our compact SUV next year”.